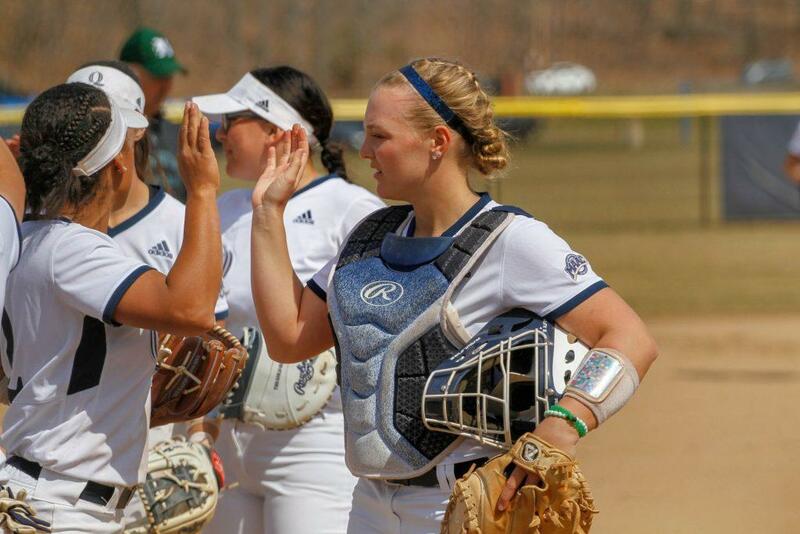 The Quinnipiac Bobcats softball team (13-24, 4-4 MAAC) will square off for a MAAC doubleheader against the Siena Saints (9-15, 2-2 MAAC) on Sunday afternoon. Quinnipiac is coming off of a split with Hartford, while Siena split its last series with Holy Cross. Sophomore Kayla Jensen has exceeded expectations at the plate this season, leading the Bobcats in batting average (.384) runs (21) and hits (48). She recorded two hits, one run and one RBI in Thursday’s doubleheader against Hartford. If the Saints can’t consistently get Jensen out, the Bobcats will have a good chance of picking up two wins against a familiar conference foe. Junior Brooke Hughes has been a workhorse for the Saints – in nine starts, she has four complete games and a team-leading 3.85 ERA. Hughes also leads the Saints with four wins and a 1.66 WHIP. Hughes will be facing a Quinnipiac team that has struggled at the plate this season to the tune of a .240/.342/.327 triple slash. If Hughes is at her best, Siena will be able to steal a win. The Bobcats aren’t known for their strong batting averages – just two Bobcats are hitting over .300 (Rachel Marchuk and Kayla Jensen), and nine hitters are batting under .250 this year. However, the team could be snapping out of the hitting funk. Erin Larsen, who led the Quinnipiac offense in 2018, has gotten on a roll as of late, batting .375 over her last six games. Rebecca Drake is also hitting .375 over the same span, and Brighid Douglas has four hits in her last eight at-bats. If the Bobcats can continue to get production from the bottom of the lineup, they’ll be on their way to two MAAC wins. On the other hand, Siena’s main problem this season has been its pitching. In fact, the aforementioned Brooke Hughes is the only Siena pitcher with an ERA under 5.00. However, these two games against a light-hitting Quinnipiac team can get Siena’s pitching staff back on track. For Siena to pick up two MAAC wins and leapfrog Quinnipiac in the standings, it’ll need its pitchers to silence the Quinnipiac bats. Don’t forget to tune in to QBSN’s live broadcast of Quinnipiac vs. Siena at 11 a.m. from the Quinnipiac Softball Field in Hamden, Connecticut. Ryan Flaherty and Max Schreiber will have the call of the game. For live updates throughout the game, make sure to follow QBSN on Twitter.